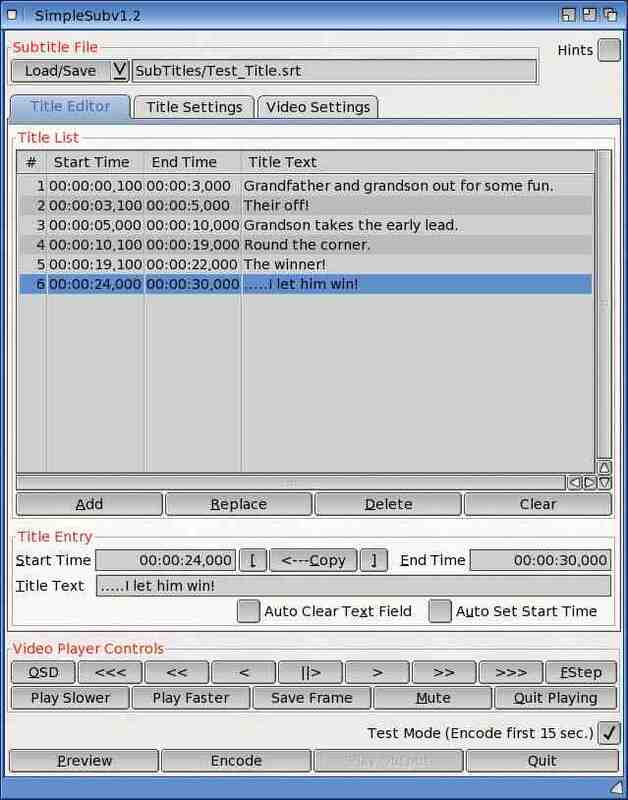 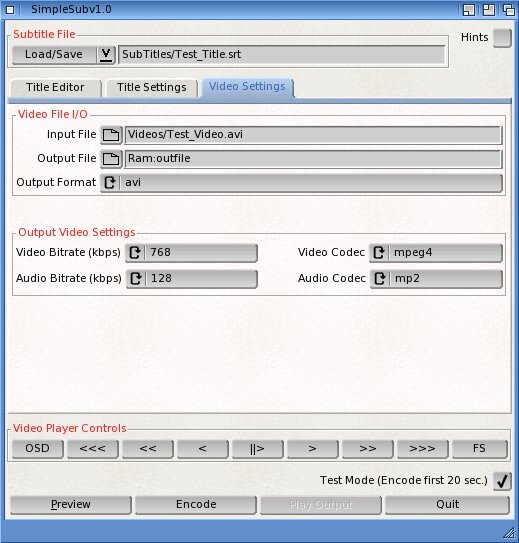 for encoding subtitles onto the video. 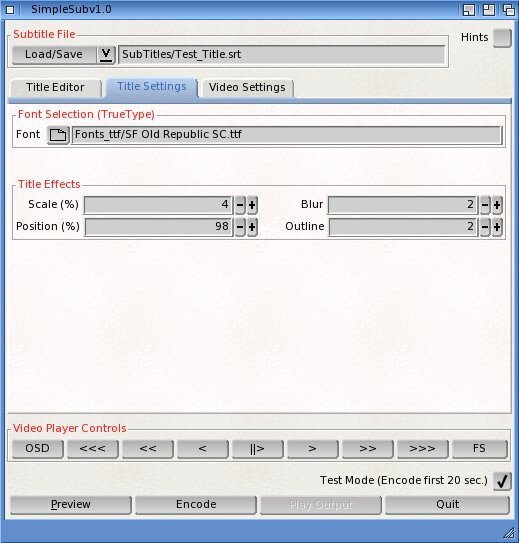 SimpleSub v1.0 Title tab for selecting fonts and setting subtitle attributes. 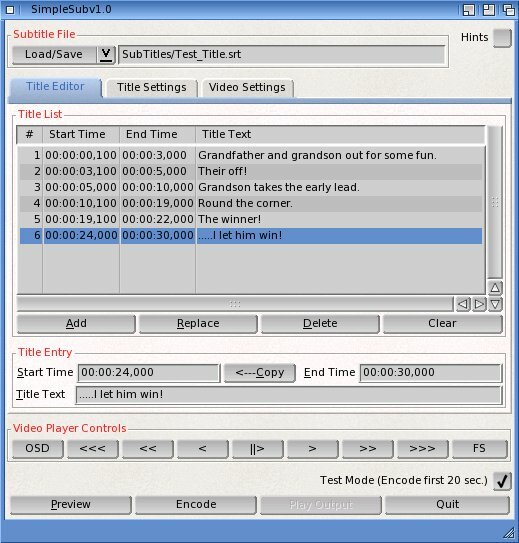 SimpleSub v1.0 editor tab for editing .srt titles.